Caravan manufacturers Bailey Australia produce over 7000 caravans and motorhomes each year. As each caravan comes off the assembly line, they are thoroughly checked by the quality assurance manager prior to being sent to their dealer network. This process was a paper-based form where the inspector would manually check-off the specific items accompanied with hand written notes. The reports were then keyed into a series of Excel spreadsheets. This process was time-intensive and heavily out-dated, placing restriction on business growth. 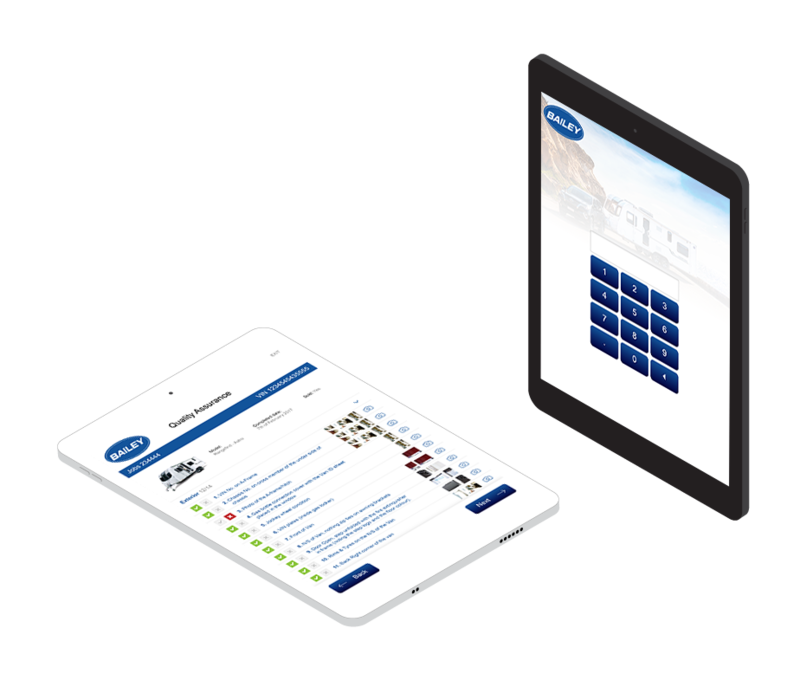 Working together with the production manager, the quality manager and the information officer we were able to create a tool that would electronically capture the quality data as well as take photos of each item. 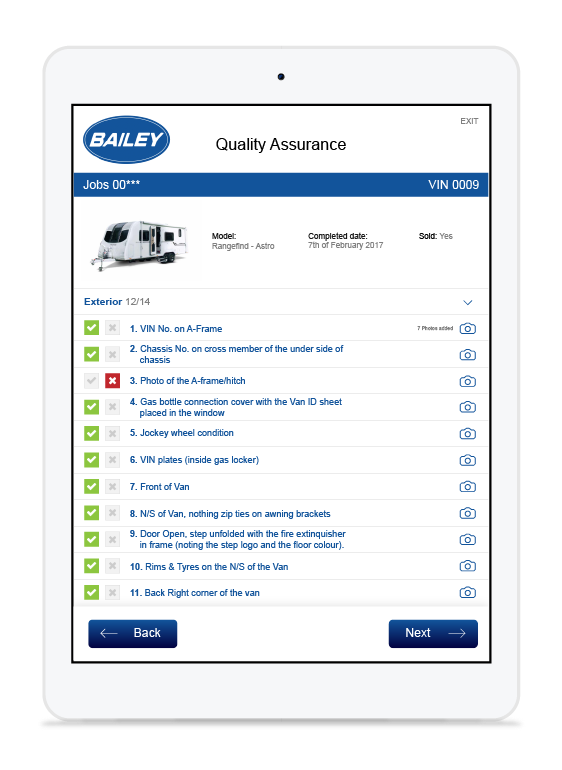 The result was a tool delivered on an iPad identifying the caravans ready to be checked. The user then simply ticks the pass or fail box for each item, attaching the photo evidence supporting his decision. With each item that does not pass, the user can select the reason from the pull down menu with an optional description box to further explain the fault. The information is then electronically transmitted to the production manager. Once all items are passed, results are sorted into the database along with the attached photos. 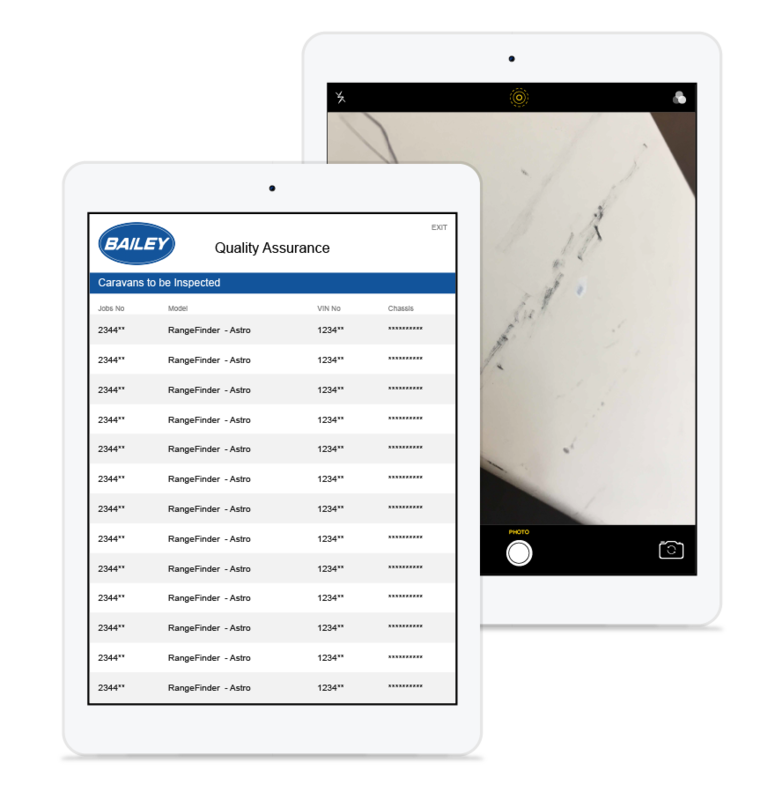 This data management system was entirely integrated with their existing photo repository system and has proven to be a valuable asset for servicing warranty claims.